New Jersey, January 14, 2016 - USEReady, a leading provider of self-reliant data solutions was today announced as the ‘Services Partner of the Year 2015’ by Tableau. The announcement was made at the Tableau’s annual Partner Summit at Austin, Texas. Tableau, a global leader in rapid-fire, easy-to-use business analytics software, recognized its partners every year with a series of awards during its annual Partner Summit. The awards recognize excellent performance and notable achievements of its global partners. 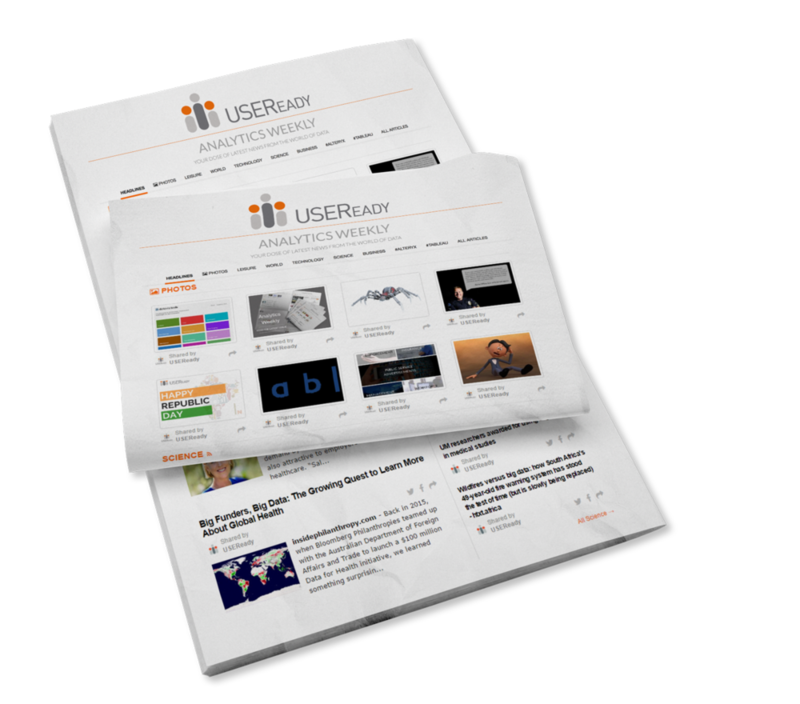 USEReady is a solutions provider that specializes in end-to-end delivery of Tableau and related technologies, with proficiency in agile, visual analytics, data preparation, governance and security. USEReady enables companies to achieve greater efficiencies by putting in place an architecture which is governed, collaborative, dynamic and scalable. USEReady’s dedicated team of Tableau consultants help enterprises to seamlessly integrate agile analytics, and set up processes and training for Tableau governance. "We are extremely proud to have received this award,” said Uday Hegde, CEO, USEReady. "We are a relatively younger partner. The key thing is that Tableau inspires us to do better unlike any other and we seek to emulate their success in our performance. Our agile data solutions backed by field-proven deployment methodologies has helped enterprises unleash the potential of data to analyze, optimize and control business processes and break down data silos. This award proves our proficiency in handling BI requirements of large enterprise customers,” he adds. The two companies have enjoyed a successful business partnership for many years. In fact, USEReady has been a GOLD partner of Tableau for 3 years now. USEReady is a self-service business intelligence company focused on agile data analytics, visualization, governance and security. The company’s mission is to help enterprises own their data, and help them build a mature, sustainable and scalable analytical culture in their organization, with minimum opportunity costs. While we specialize in capital markets and insurance industries, our associates have delivered great success in healthcare, pharma, retail, media, and utilities verticals as well. In little over three years, we have built a great track record of client acquisition, expansion and growth. We have been serving over 120 clients worldwide and have added three new Fortune 1000 companies every quarter. With us, dashboards are re-imagined, governance is automated and business performance is fast-tracked.